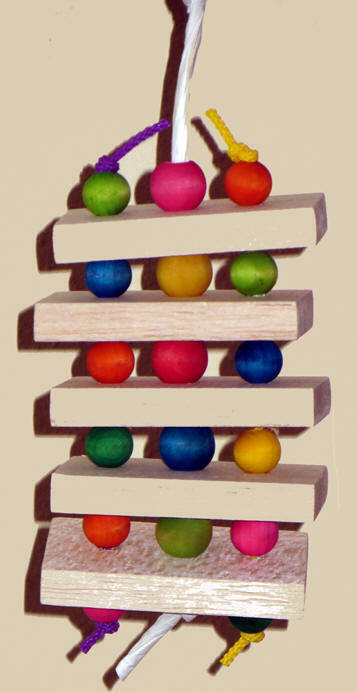 If your parrot loves Balsa, you need to try the Balsa Step from Mighty Bird's Balsa Collection. 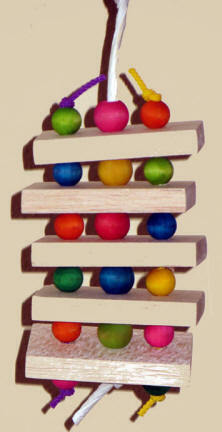 The Balsa Step has five slabs of balsa (3.5" x 2" x .5"), separated by colorful wooden balls. Strung on paper rope, the colorful balls on each side are a bit small and strung on poly rope. This is a fun, shredable toy for those Busy Beaks in your house that enjoy soft, chewable balsa!